Backwaters host many special events during August to September. The electrifying races by carved wooden boats set the backwaters on fire. 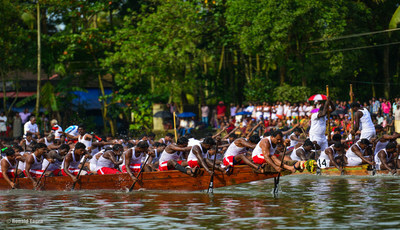 Boat races are held in connection with Onam, the harvest festival in August/September. Scores of long snake boats and other smaller crafts participate in these events.The largest team sport in the world, the snake boat races are preceded by colourful water parades. Usually a snake boat is manned by four helmsmen, 25 singers and 100 - 125 oarsmen who row in unison to the fast rhythm of thevanchipattu (song of the boatman). Thousands of people crowd the water's edge to cheer the huge black crafts as they slice through the waters to a spectacular finish.The oldest of these events have curious legends and myths attached to their origin. Myths closely linked to the rustic people and their beliefs. A calendar of the snake boat races of Kerala from July to September. 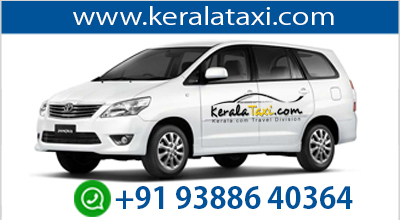 ATDC Boat Race, Alappuzha, Rajiv Gandhi Boat Race, Pulinkunnu, Neerettupuram Boat Race, Kumarakom Boat Race, Karuvatta Boat Race, Kavanattinkara Boat Race, Kumarakom Arpookara Vanitha Jalamela, Kottayam Mahatma Boat Race, Mannar, Thazhathangadi Boat Race, Kottayam, Kottapuram Boat Race, Kodungallur and Kumaranasan Smaraka Jalotsavam, Pallana.The Indira Gandhi Boat Race (held on the Ernakulam Lake during the Cochin Carnival in the last week of December ) The 'Nehru Trophy Boat Race' named in honor of the late Prime Minister of India, Pundit Jawaharlal Nehru, is the most exciting of all the boat races. It is held on the second Saturday of August. 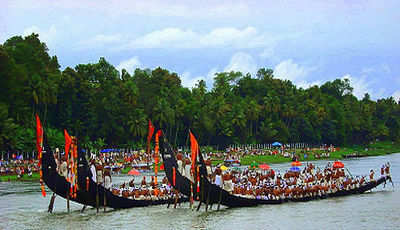 During the 'Onam' festival, many boat races including the spectacular Aranmula boat-race are conducted in the Alappuzha region.